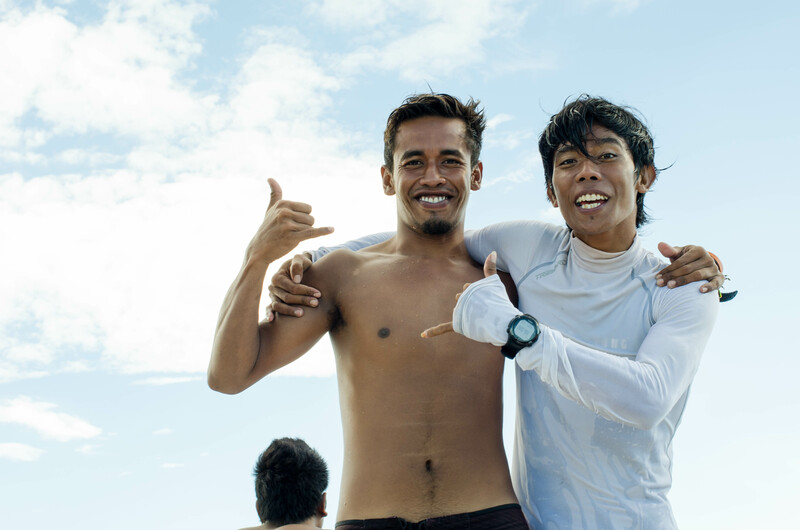 Are you curious how a day in our shark conservation team looks like? Get all the info here and see how you can make a difference! 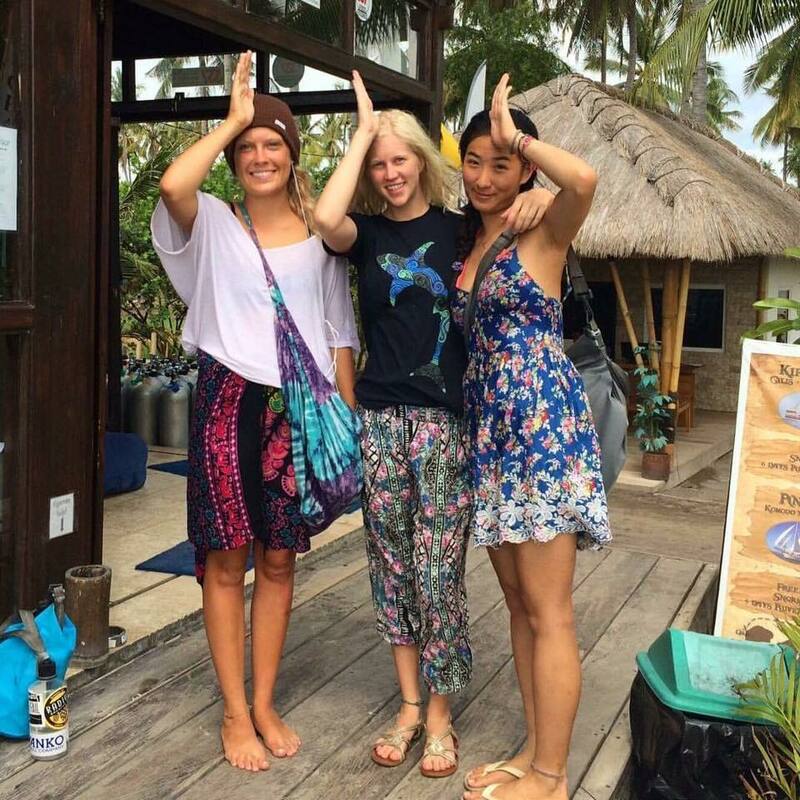 As a participant of the Gili Shark Conservation Project you spend 5 days a week from 8AM till 5PM with our research team. Our mornings are spent mostly exploring the magical underwater world and our afternoons are spend either in the office inputting and analyzing the data or in the field doing community work. We are a small group of dedicated individuals from all different ages and backgrounds. Your first week is dedicated to diver and scientific methodology training. First you must be a good diver before you can become a good research diver. The accommodation and our office is located in a hidden paradise called Villa Nangka, complete with open air kitchen, hot water showers, and a huge swimming pool! With 4 people to a room we talk and laugh in the mornings before heading down to Coffee & Thyme for a delicious breakfast. Pancakes, eggs, fresh fruit, and a strong coffee is the best way to start your day on a tropical island. After breakfast we set up our equipment and load it onto the Gili Shark Conservation boat. With slates and t-sticks ready we jump into the water for our first survey dive. Actively seeking out sharks, rays, turtles, and indicator species. Jacques Cousteau once said: “The best way to observe a fish is to become a fish.” And we couldn’t agree more. There is no better feeling than to start the day with a dive; every time we jump into the ocean, it feels like going home. Once we are back on the boat we transfer our data onto the sheets and get ready for our second dive. Our second dive is dedicated to dropping our baited underwater cameras and bringing our spare GoPro’s to take our photo ID pictures to track the population of sharks and turtles throughout the reserve. After washing and putting all of our equipment away and logging our dives we head back to Villa Nangka for lunch. Sandwiches, pastas, local cuisine, and fresh juice is on the menu before we break into our teams to complete our tasks for the afternoon. Sometimes we are entering data, sometimes we are watching the video and counting sharks, other times we spend time on personal projects. One thing for sure we are always busy! Office time doesn’t mean that you will be sitting in an office all day. The ocean and the whole island is our office (lucky us!) so we could literally be anywhere. We are a very ambitious organization with big dreams. To make sure we reach our goals, every day has a theme so you and the other members of the research team know exactly what to focus on. On Tuesdays we focus on expanding your knowledge. We do this by giving presentations and workshops, playing different games and watching documentaries together. On Wednesdays and Fridays it’s all about science and marine life conservation; watch the BRUV, analyze & input data, study the different methodologies we use and prepare the bait for the BRUV. In our office no one gets teased for being a geek, science is the new rock & roll! On Thursdays we head out into the field to visit our community outreach projects. People who are crazy enough to think they can change the world, are the ones that normally do. But to make the change you need go outside the office and sometimes even out of your comfort zone. We teach people why it’s so important to look after our ocean and give them the tools to keep our beautiful island green & clean. 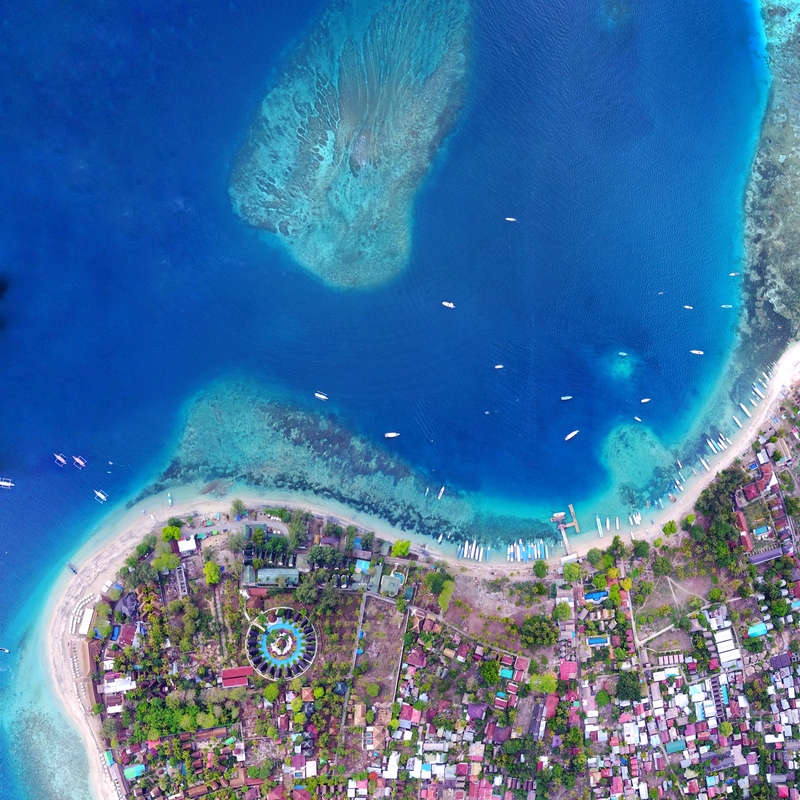 On Saturdays we try to give something back to Gili Air and the wonderful community here; we call it Give Back Saturday. We organize beach clean ups, underwater clean ups, recycle workshops and activities for children at the primary school. We’re always trying to come up with new and creative ways to help the community and promote conservation efforts – working together to change the perception of sharks one person at a time.